Hare Krishna Movement followers during the screening of documentary at PVR theatre, Punjagutta on Sunday. 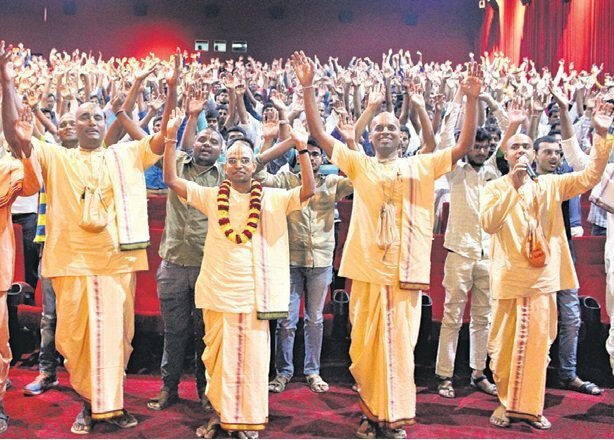 Hyderabad: A documentary film “Hare Krishna – The Mantra, The Movement and the Swami who started it all,” made on the life of Srila Prabhupada, who had started Hare Krishna movement in the West, was screened at PVR theatre, Punjagutta on Sunday, a statement said. Hare Krishna Movement, Hyderabad (HKM) had booked the entire theatre for the first screening along with followers from twin cities. The movie showcases the struggles, endeavors, troubles and tribulations encountered by Srila Prabhupada while fulfilling the prophecy of his spiritual master, Bhakti Siddhanta Saraswati Goswami Maharaj. 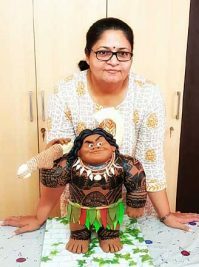 HKM president, Satya Gaura Chandra Dasa, and vice-president Sri Bindu Madhava Dasa, and many other congregational followers watched the documentary, a statement said. Gaura Chandra Dasa said that Srila Prabhupada Swami is the cultural ambassador of India’s rich culture and heritage to the western society. 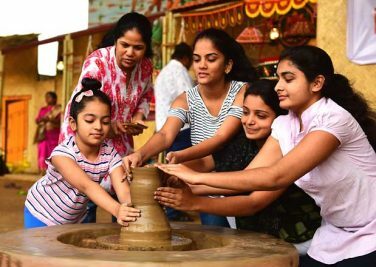 “His direction that no one should go hungry within ten kilometer radius from our centres made us start the Akshaya Patra, Bhojanamrita, Saddimoota and Annapoorna schemes to feed the hungry,” he said.